Some candidates haven’t even formally announced their decision to run yet, but President Trump's re-election campaign is already gathering ammunition to use against his opponents and mapping out the regions where he is weakest. Between the lines: The Democratic campaigns are getting all the attention right now, but the Trump team is following them closely, sending trackers and watching all of the candidates for liberal base-pleasing proposals — like packing the Supreme Court — that they can use to make the eventual nominee look extreme. Details: The Republican National Committee, which is taking the lead on opposition research ahead of 2020 in coordination with the campaign, has been funding a network of trackers in all the early states. It's already out filming Democratic candidates, trying to catch their mistakes — especially in smaller, more rural settings away from the eyes of the national media. 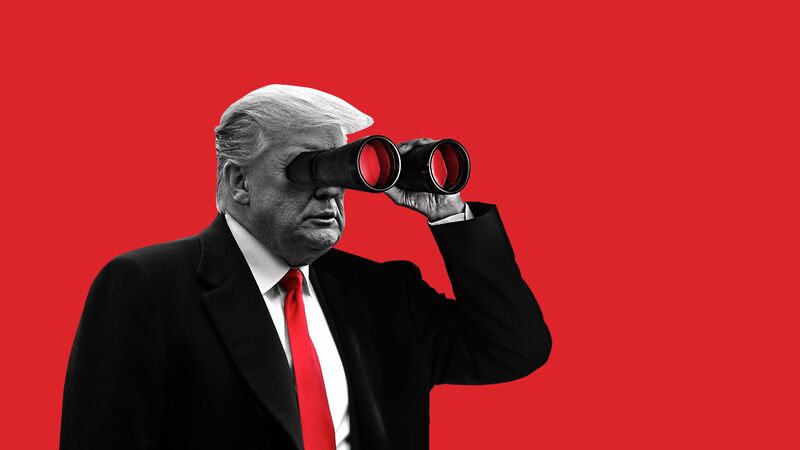 “We started gathering research on 2020 candidates in spring of 2018,” Mike Reed, the RNC’s deputy chief of staff for communications, told me. And the campaign plans to highlight the Democratic candidates' far-left proposals in a way that that would "look poorly on the entire Democratic brand,” a Trump 2020 campaign adviser said — such as court packing, abolishing the electoral college and reparations. "Even Bernie's not for reparations,” the source added. The campaign is also zeroing in on which states they need to go after the hardest, which will ultimately depend on which Democrat becomes the frontrunner. “The issue for Trump last time was, frankly, he spoke to working class voters and Hillary didn’t … So if you take that out of the equation, something like getting 60 thousand votes in Michigan becomes a lot harder,” the former campaign official said. A Republican operative close to the campaign told Axios the team is most worried about Michigan and Wisconsin — states where they think it will be hard to replicate their 2016 win. The campaign is less worried about Pennsylvania, the source said, given that Clinton campaigned heavily across the state and “won just about as many votes in Philly as she could get,” but Trump still came out on top.